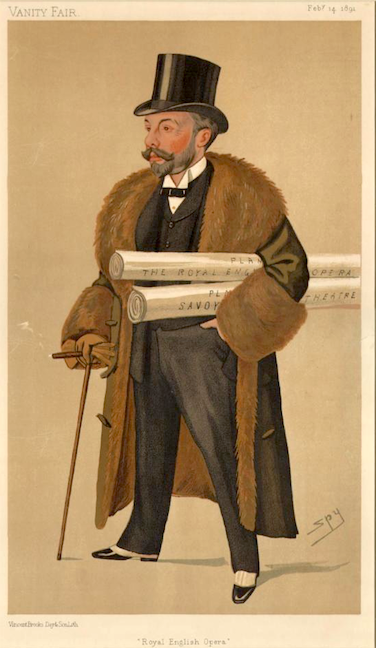 Richard D’Oyly Carte, born 1844, died 1901; was theatrical manager of the Royalty Theatre, London, where Trial by Jury was produced in 1875, when he became the originator and promoter of a scheme for English “comedy-opera,” of which the first-fruit was The Sorcerer, brought out at the Opéra Comique, London, on November 17, 1877. H.M.S. Pinafore, The Pirates of Penzance, and Patience followed at the same theatre, under the same auspices. 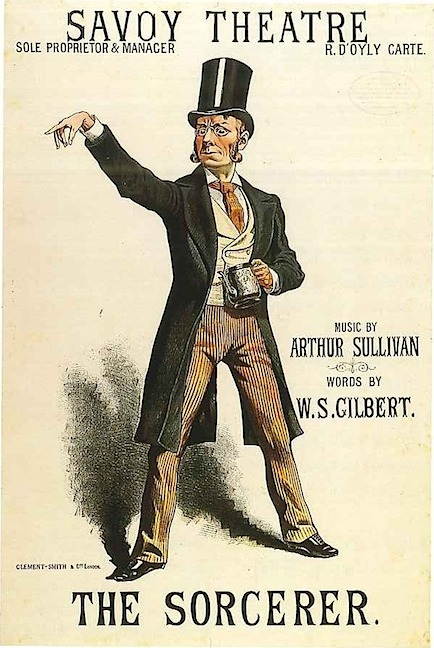 In October, 1881, Patience was transferred to the Savoy Theatre, which Richard D’Oyly Carte had built specially for the production of Gilbert-Sullivan pieces, and of which he remained the owner and director, at the same time owning and directing numerous travelling companies both in the British provinces and in America. 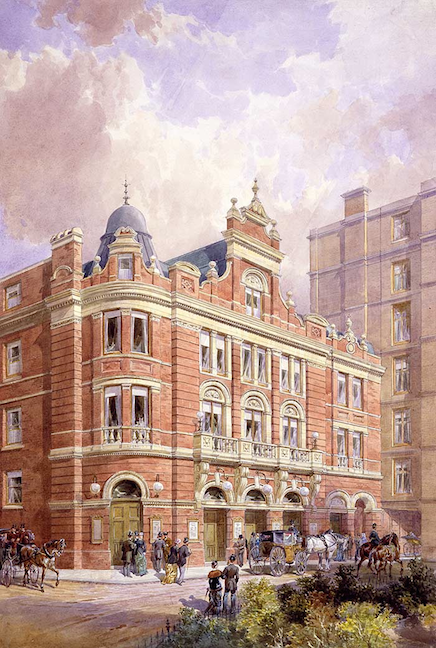 In January, 1891, he opened, in Cambridge Circus, London,–with Sullivan’s Ivanhoe specially written for the occasion–the English Opera House, of which he had been the projector, but which, in December, 1892, was re-christened the Palace Theatre, and later devoted, under other management, to “variety” performances. 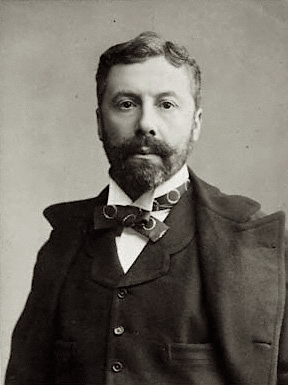 D’Oyly Carte himself wrote the music for two dramatic pieces entitled Dr. Ambrosias, his Secret (1887) and Maria (1871). Savoy Scaffolding etching by James McNeill Whistler (1834-1903), D’Oyly Carte was a strong supporter of Whistler and a close friend.